(1) 塩化鉄（Ⅲ）, Ferric chloride , FeCl3, = 162.206 g/mol, (化学種). (2) フェリシアン化カリウム, Potassium ferricyanide, K3[Fe(CN)6], = 329.2481 g/mol, (化学種). (3) フェロシアン化カリウム, , K4[Fe(CN)6], = 368.3464 g/mol, (化学種). (4) 酸化マンガン（Ⅳ）, manganese oxide, MnO2, = 86.9368 g/mol, (化学種). (6) コンゴーレッド, 準備室, 伊藤 智博, (2008). (1) . 無機・分析化学応用実験ＭＬ . . http://www.freeml.com/ctrl/html/MessageListForm/mukiouyou@freeml.com, (参照2009-5-1). (2) . オンラインテキスト . . /amenity/Knowledge.asp?DSN=ElectroChem&nKnowledgeID=2167, (参照2009-5-1). (3) . 今すぐ予習しよう . . http://c1.yz.yamagata-u.ac.jp/Advanced/, (参照2009-5-1). (4) . 化学準備室 . . /amenity/Location/LocationWeb.aspx?nLocationID=20, (参照2009-5-1). (5) . 無機系（オープンラボ） . . /amenity/Location/LocationWeb.aspx?nLocationID=861, (参照2009-5-1). (6) . 学生化学実験室 . . /amenity/Location/LocationWeb.aspx?nLocationID=22, (参照2009-5-1). (7) . 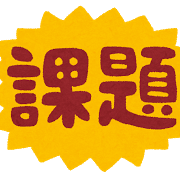 基礎実験 . . /amenity/Syllabus/SyllabusWeb.aspx?nSyllabusID=7853, (参照2009-5-1). (8) . 参考書：現代物理化学序説 . . /amenity/Library/YuBooksWeb.aspx?nID=301567, (参照2009-5-1). (9) . 参考書：電気化学測定法 . . /amenity/Library/YuBooksWeb.aspx?nID=333675, (参照2009-5-1). (10) . ガラス器具 . . /amenity/Electrochem/Product/ProductWeb.aspx?nProductID=35, (参照2009-5-1). (11) . 山形大学　安全の手引き . . http://jw.kj.yamagata-u.ac.jp/anzen/index.html, (参照2009-5-1).
. 試薬 . 山形大学, 無機・分析化学応用実験 講義ノート, 2006. https://edu.yz.yamagata-u.ac.jp/developer/Asp/Youzan/@Lecture.asp?nLectureID=737 , （参照 2019-4-25 ）.